Do You Need to Schedule Heating Maintenance? The holidays are almost here, and temperatures are beginning to drop in Folsom, El Dorado Hills and Sacramento. While California benefits from a warmer climate than most states in the country, this isn’t to say that our winters don’t see a handful of uncomfortably cold days. This is the time of year when many homeowners start wondering whether or not their heating systems are ready for the weather ahead of us. 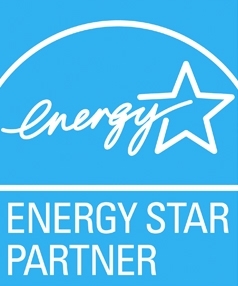 Homeowners in El Dorado Hills, Citrus Heights and the Greater Sacramento area constantly looking for ways to better their homes and take energy efficiency to the next level. It would be unfair to say, however, that aesthetics don’t also matter. Even the most energy efficient homes need to look good in order for people to feel good about living in them, which is why replacing your windows is one of the best ways to improve home performance and the overall look/feel of your home. Living in the Foothills means experiencing mostly pleasant weather throughout much of the year. California may not be known for its rough winters, but that doesn’t mean it’s always warm. Ensuring your heating system is prepared for the winter is extremely important, both to ensure that you and your family are comfortable the entire season through, and also to avoid the expenses of an emergency heating repair.